Les Cinq Saveurs d’Anada may be the perfect restaurant for you in Paris. Are you looking for vegan, vegetarian, and/or macrobiotic restaurant in an area surrounded by hostels, theaters, and one of the best outdoor markets in the city? Voila, here’s your answer. 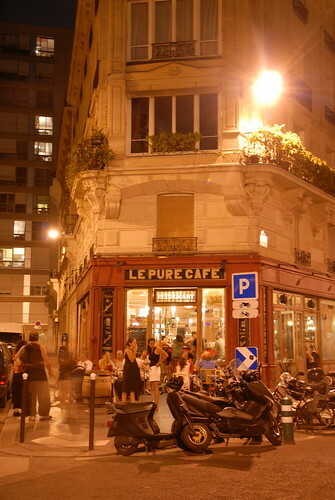 The restaurant sits at the top of rue Mouffetard, one of my favorite spots in the city. It’s cheerful interior and ample servings make this a great option in the Left Bank. As happens too often, I came across this restaurant after already eating a nice meal. So I cannot give a personal review. 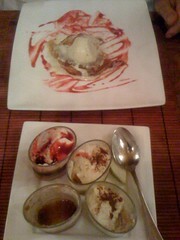 However, I looked at what people were eating and it looked great. Wheelchair Friendly: The restaurant has a small step to enter but is otherwise wheelchair friendly. I don’t know if the restroom is downstairs or not.